Ready for a Lifetime of Adventures? 'Adventure Time' Jake's Face Engagement Ring | OhGizmo! Check It Out: It’s Mega Meat! By Hazel Chua on 08/23/13 • Leave a comment! 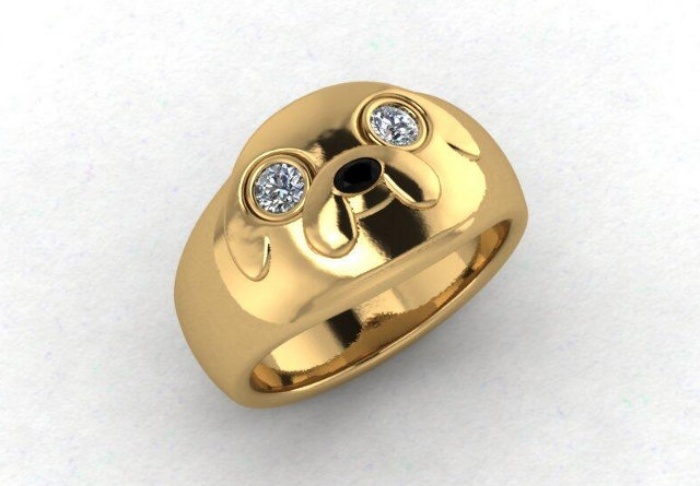 This is an engagement ring featuring Jake the dog from Adventure Time and it’s just awesome in every sense of the word. Comic book artist Josh Adams, who’s behind Batman Odyssey and the ongoing Doctor Who series, decided that it was time to propose to his girlfriend Saori Tsujimoto. He decided to go the geeky route and had a ring customized featuring Jake’s signature grin. His eyes have that mischievous glint and they’re shining like diamonds because two big rocks have been set in Jake’s eye sockets. 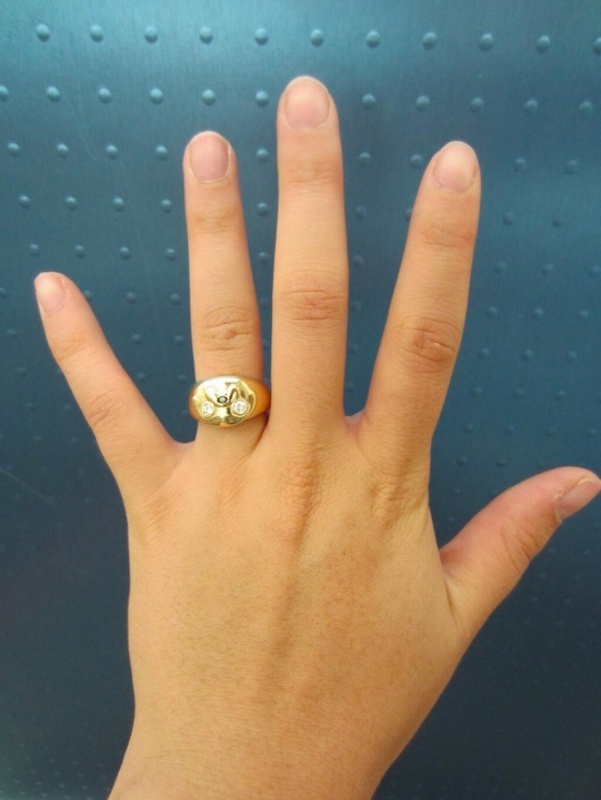 When Adventure Time creator Pendleton Ward saw the ring, he apparently said, “Holy cow that’s amazing.” We agree, and so did Saori, who said yes.